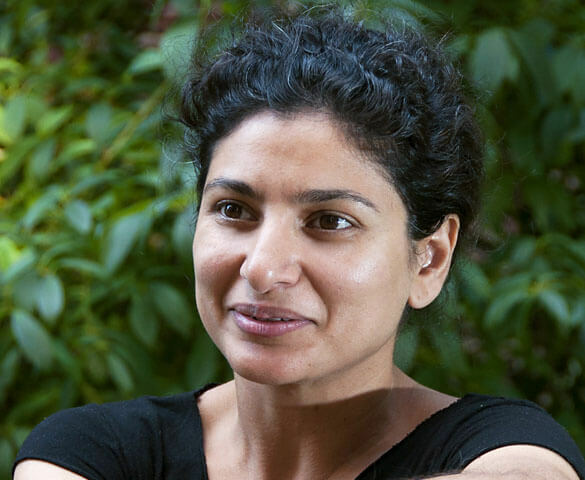 Kayhan Irani is an Emmy-award winning writer, a producer, and a socially engaged artist. She creates arts projects and events to build community and engage audiences in social justice issues. Kayhan was one of ten artists named by President Obama’s White House as a ‘Champion of Change’ for her art and storytelling work. She is currently working on two new pieces about immigration, citizenship, and belonging.